Fayette County, Saturday October 1, 9am-12pm. 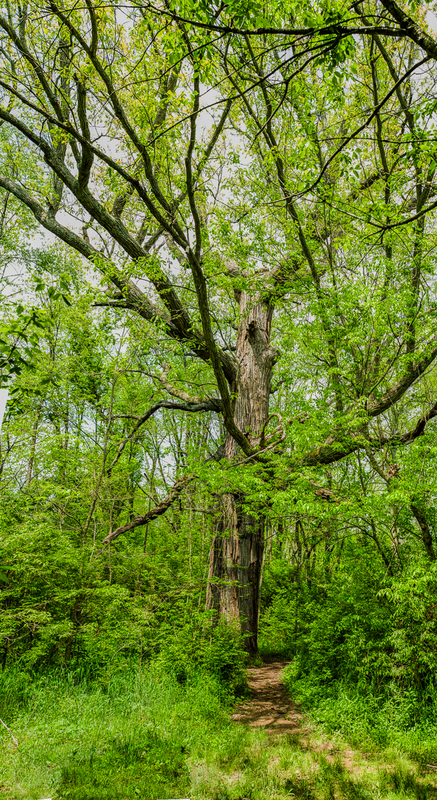 This course will focus on urban remnants of the original woodland pastures of the Bluegrass. We will begin at Veteran's Park, a fascinating mix of very old woodland pasture trees and woodlands that have since become established. Our walk will include the famous Veteran's Oak, and we will examine the factors that threaten its health. We will also explore the Wood Wide Web, the interconnections among trees that allow forests to remain healthy and vigorous. Time permitting, we will explore a residential neighborhood that includes an extraordinary number of woodland pasture trees. To register for this Field Course, click the button below. The cost is $20 per person, $5 for students, including graduate students and postdocs. Children accompanied by an adult are welcome, and there is no charge for children. Well-behaved dogs on a leash are welcome; cats and parrots are not. Posted in News and tagged Ancient Trees, Fayette County, field course, Venerable Trees, woodland pastures. This site is created in support of the book Venerable Trees. All text copyright 2014-2019, Tom Kimmerer unless otherwise credited. Base maps used by permission, Copyright © 2014 Esri, DeLorme, NAVTEQ. All rights reserved.